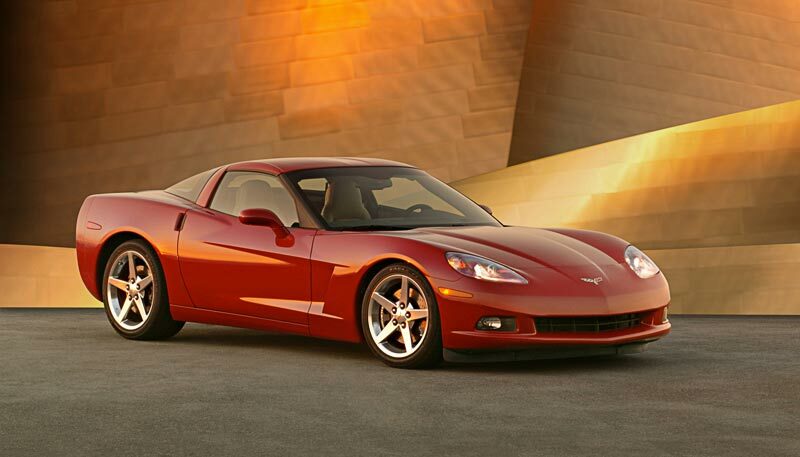 The 2005 Corvette was updated with more angular styling and a shorter body length. 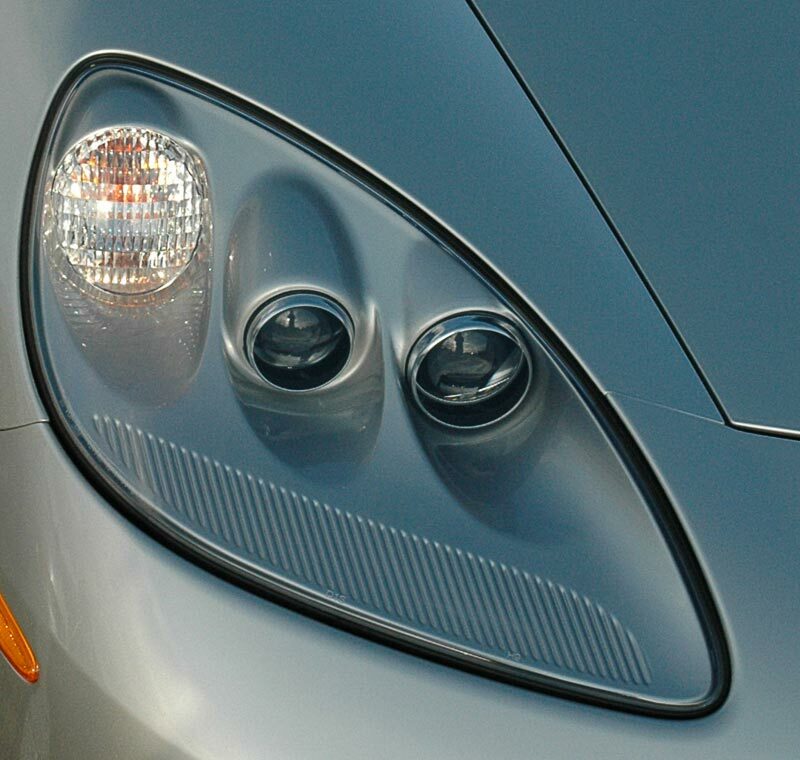 Right: for 2005, the first year of the C5 generation, open headlights returned to the Corvette design. Left: For 2005 only the steering wheel was a four spoke design. Below: A convertible was available for 2005. 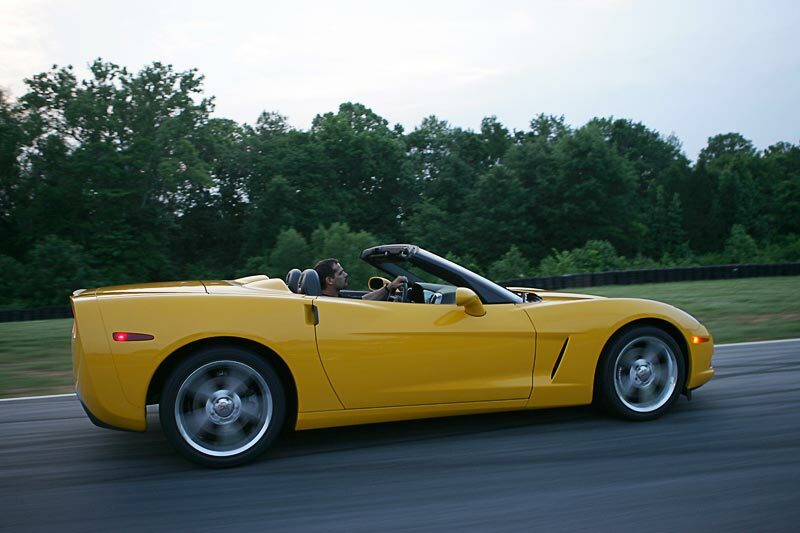 The Z06, after being skipped over for 2005, was reintroduced for 2006. Styling cues exclusive to the Z06; Left: Functional rear brake cooling scoop. Middle: Cold air induction opening at the nose feeds the engine air intake and allows easy id of the Z06 status. Right: An aerodynamic aid called "Gurney lips" in honor of driving legend Dan Gurney is part of the lower front bodywork. Below: Front and rear fender flares, made necessary by the higher performance tires, distinguished the Z06. 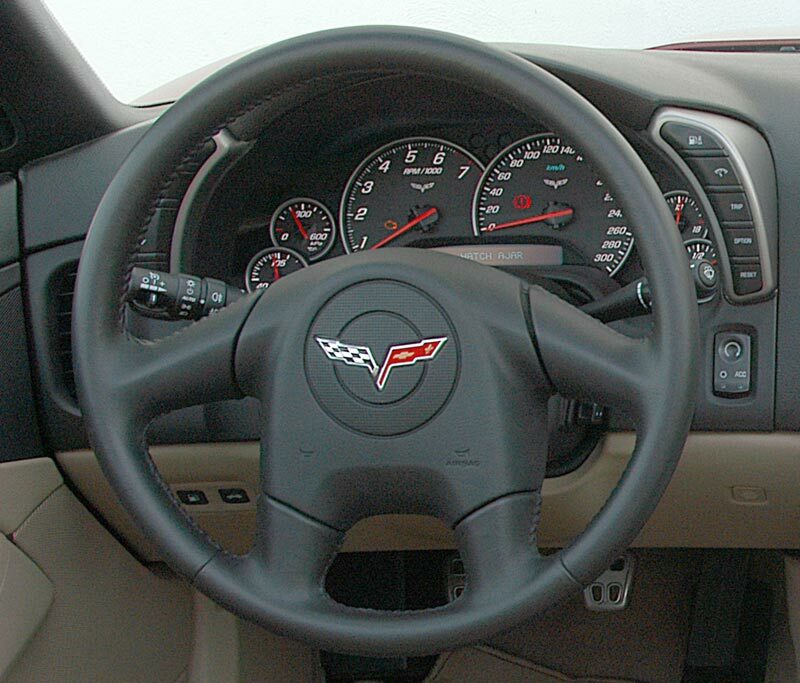 The steering wheel went from a four spoke style in 2005 to a more contemporary three spoke in '06. 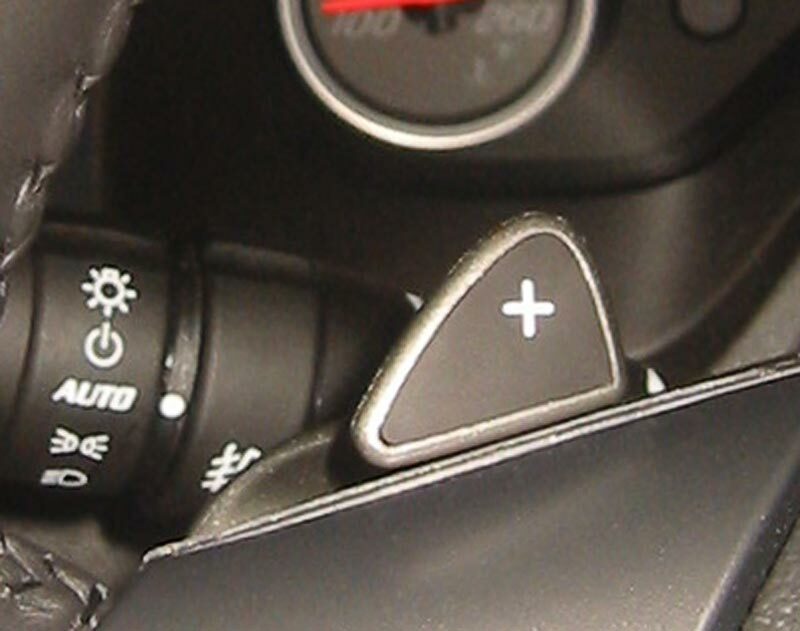 Right: The new for 2006 six speed automatic transmission was equipped with paddle shifters.